Almost everybody visiting Vietnam will go to Sapa and Bacha (Bac Ha), places amidst a wonderful landscape of mountains and a colorful population of minorities. 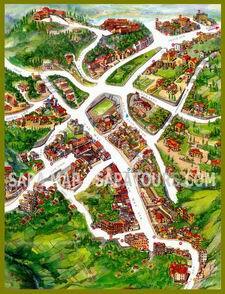 Elevated 1600 meters above the sea level, Sapa was built by the French in 1922 as a hill station for relaxation. It is home to many ethnic minority groups. Famous for its Saturday night lovemarket, ethnic minorities from many of the surrounding villages don their most colourful costumes and head for the town. Sapa has now become a famous tourism site, it offers the traveller a rare glimpse into the way of life that has all but vanished from the rest of Asia. Here you will find no welcome mats or rehearsed "Cultural" parades, just real people living real lives who greet visitors with genuine warmth and real smiles. 100 km from Sapa, Bac Ha - a small town built on a desolated highland is well-known for the century-old colorful markets of the real mountainous people including the Dzao and the Flower- H'Mong. They and the mountains seem to fall in a sleep and time stands still until Sunday mornings when the markets occur. All the young boys and girls wear their most beautiful clothes and go to the market. Early this morning our guide will pick up up from hotel and leave for a 10 hour drive to Sapa. Stop along the way for taking photos of panorama of Vietnamese countryside and meet hilltribes people, have lunch in Yen Bai, arrival in Sapa late in the afternoon. At an elevation of 1600 meters, Sapa was founded in the early years of the last century as a hill resort for French administrators when the heat on the plain became unbearable. After checking into hotel we can soak up the fresh climate as much as we want by spending our time wandering around this charming town and some legacies of the French period. After breakfast, you set off for a two hour trek to Lao Chai village which takes you along buffalo paths and trails and through several hilltribe villages. This is an absolutely spectacular walk through stunning scenery inhabited by some of the friendliest people you can hope to meet, your guide will assist you communicating with the locals while visiting around the village. Take a ride back to Sapa for around 30 minutes and you might stop some times on the way to take photos of the fabulous valley. This morning we bid farewell to Sapa and catch our jeep for a 120 km drive to Can Cau (Cancau) market, basic but full of the hill tribes with colorful customs. The morning Can Cau Market is close to China border and home to many ethnic minorities such as Flower H'Mong, Nung, Dzao they all come down from mountainous, isolated villages taking along with horses, buffaloes, cats, dogs, chickens for sales, at the market place you will be surprised and impressed by what they trade and their colorful clothes. You will have a real discovery on the cultures and lifestyles of the hill tribes here because they live in a remote and isolated region and far away from the modern life. Back to Bac Ha around noon, after checking into hotel we can enjoy a walk to visit the Hmong King's former residence and Ban Pho where villagers make the potent local maize alcohol.